Don’t Ever Quit! : We know dating can be FRUSTRATING but NEVER EVER EVER EVER GIVE UP. Remember you only need ONE right woman out of billions on the planet! 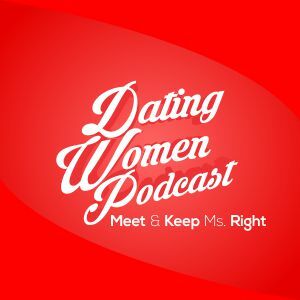 Dr. Toni Grant and Dr. Laura: What relevance do they have for guys in dating in the 2010’s? Lots – find out what Doc’s take is on them both. In fact there are a couple of books you should get for your girlfriend including: “Being A Woman” by Dr. Toni Grant and “The Proper Care and Feeding of Husbands” By Dr. Laura. If she doesn’t like these books – you cannot marry her! What Are We About? : Good people finding good people and you have to make sure to consciously look for good women and let us coach you to meet and keep her. Horticulture & Dating??? : How does horticulture relate to men and how does this help you in dating? There are more tie-ins than you may think. Women Help You When They Like You: Many men can’t figure out that sometimes no matter what they do the girl they like will be indifferent to them. He’s Got A Busy Schedule For Dating: How can he effectively date? To be a CHALLENGE you need to have her ASK for Friday and Saturday nights because it’s a way to test if she really likes you – but in his case his work schedule is a blocker for this so we give him a strategy around this. She Likes You But You Don’t Like Her: How do you let her down without hurting her feelings? We have a perfect strategy to do just this! Look for the 4/13/16 show at http://www.docloveclub.com when you join – you get that hour-long show and over 150 hours of audio plus over 100 dating articles when you join! We give you more audio and articles every single week!